Canadian Barrick Gold Corp (TSX:ABX). took Thursday a fresh hit of US$8.7 billion, resulting in a second-quarter loss of $8.6 billion or $8.55 a share, leading the world’s top gold producer to significantly cut costs as well as its dividend. As part of its second quarter results, the Toronto-based miner announced it was reducing its quarterly dividend to five cents per share and that would continue to cut down on both its workforce and capital spending. The impairment charges logged today surpassed the company’s own expectations, as it had warned last month that it would take around $5.5 billion of charges on some of its assets, especially for its contentious gold-copper Pascua Lama mine, straddling the border of Chile and Argentina. The overall write off included $5.1 billion related to Pascua Lama, $2.3 billion in goodwill impairments and $1.3 billion for other asset impairments. 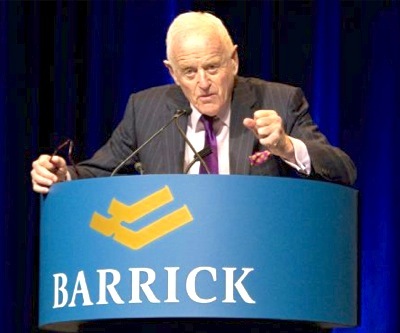 With this Barrick has written off close to $13 billion so far this year and has pushed out into the future between $1.5 and $1.8 billion in planned expenditures. Just as its gold peers, higher mine costs and lower commodity prices had hit Barrick’s results since late last year. But even before the bullion price debacle began, gold producers were facing challenges. A recent PwC report shows that, from the 40 main mining groups by market capitalization, four of the five that lost most value in 2012 were gold producers. Along Barrick the other major casualties were AngloGold Ashanti (NYSE:AU), Goldcorp (TSX:G), and Newmont Mining (NYSE:NEM).